We create safe, functional spaces, for wherever your work takes you. 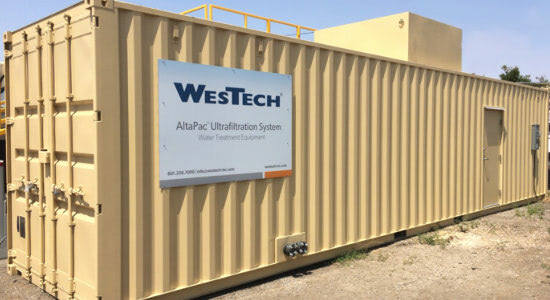 OEM (Original Equipment Manufacturer) WesTech reached out to Falcon Structures to design a containerized, modular equipment enclosure solution for a major energy client. 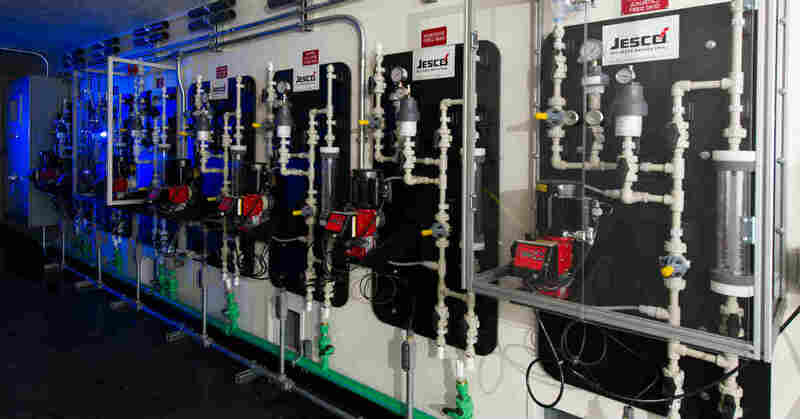 A leader in the engineering and manufacturing of process equipment for wastewater industries, WesTech needed a modular water treatment equipment enclosure solution for a client that had been federally mandated to clean up hundreds of coal ash ponds.The process to treat coal ash pond water is extremely sensitive, as the water contains hazardous coal power production byproducts. Inherently modular, clients can easily move shipping container enclosures from one pond to the next once a cleanup is completed. WesTech reduced client costs considerably because there was no longer a need to build a new enclosure at every pond, and their modified shipping containers usually require no special foundation or skirting. 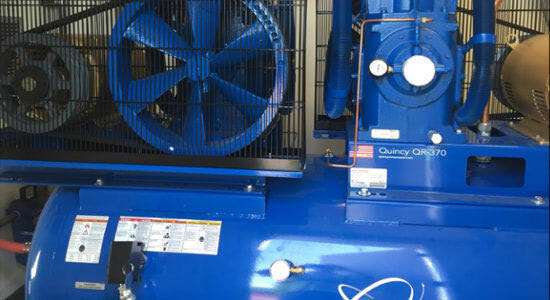 Climate control system to maintain desired temperature. Specially treated flooring for liquid containment. Multiple pass-through access points to accommodate pipes and electrical wiring. One added benefit for WesTech? Significant reduction in paperwork and other project related hassles. A WesTech project manager told Falcon he issued an estimated 60 purchase orders for a previous system. Since Falcon manages all duties and processes related to the design and manufacturing of the shipping container solution, we eliminate the need for contracting with multiple vendors. Our one-P.O. ordering process saves WesTech valuable time, headaches and money. 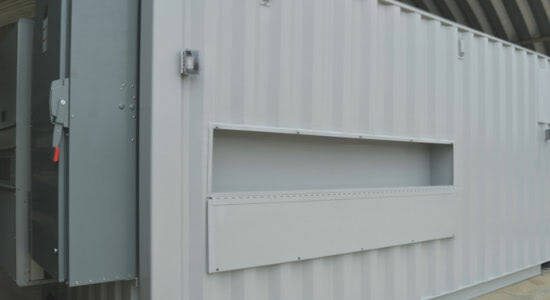 Learn how shipping containers are also a solution for MBBR/MBR plants. Have a question? Give us a call at 877-704-0177 or email sales@falconstructures.com.